Welcome to Return Man World - home of the largest selection of football games on the internet! Enjoy our new games in 2017 versions! Do you love football games? 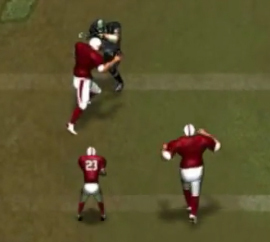 Enjoy playing as the receiving catcher or defending blocker? Then you’ve come the right place! 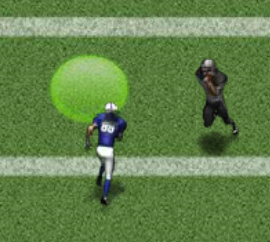 This site features all the latest and best games in the series and other football related flash games. So dive tackle your way through all these great Return Man games, then share and compete with your friends for the high score! 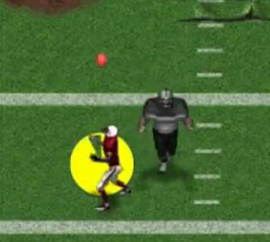 Return Man 1 is the first version in a long series of football games. 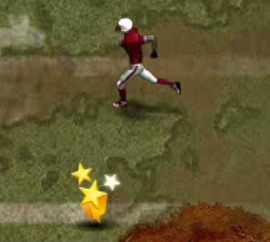 Using your keyboard, guide your football star down the field and into the end zone to score the touchdown! 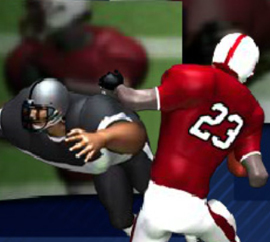 Pick up powerups and unlock special moves to make your receiver an unstoppable force for the defenders. Return Man 2 : Zombies - Its years after the zombie apocalypse. 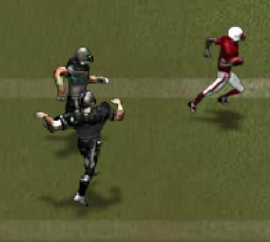 You survived, but you still have this nagging dream of playing football like in the old days. One day you hear about a group of humans who have come up with an amazing, fun, and risky idea of dealing with these zombies that still roam the earth. Play football with them! In this Zombie game, that’s exactly what you are doing! 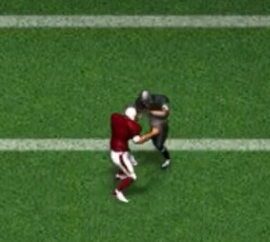 You play as the receiver. The opposing team is filled with zombies. 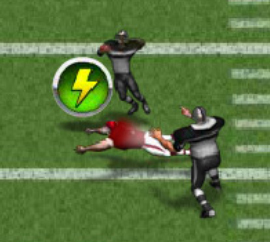 Can you make the winning touchdown before they decide to eat your brain? Return Man Zombies includes some funny yet useful special moves, including the Football Club, which makes your player use the football as a club to smash the skulls of the zombies! Let’s see if you have what it takes to take on these brain-eating zombies before becoming one yourself! Return Man : Mud Bowl - have you ever tried playing football in a soaking wet field filled with huge puddles of mud? Sounds fun, right?! Well now you can in Return Man 2 - Mud Bowl! Slip and slide across the field while avoiding the opposing teams defenders, collecting power-ups, and unlocking amazing new special moves. We hope you’re not wearing white, because we promise you, you will get dirty! Return Man 3- return man is back and more challenging than ever in Return Man 3! In this version, players have multiple control options they can choose from including using the default I, J, K, and L keys for directional keys, or using the A, S, D, W, keys as your directional keys. You can also opt to use the arrow keys if you feel more comfortable. Not only do you have more options and customization, but you also have a lot more special moves to choose from during your game play. Of course, that is, if you are skilled enough to unlock them all! Return Man 3 : The Season - this game is jam packed with high quality graphics, and unbeatable entertainment. It features 15 weeks of games, with each week including four to five different stages. Each stage is also broken down into multiple levels as well! There are up to eight different special moves you can unlock at various intervals throughout the game, including the Ankle Breaker and Bulldozer moves! 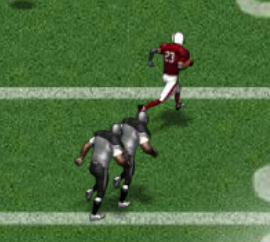 Check your football skills and try out Return Man 3 - The Season now! 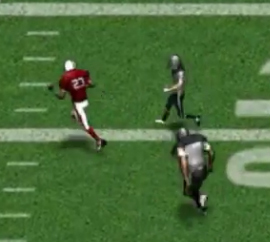 Wideout offers a new spin on the Return Man series of games. 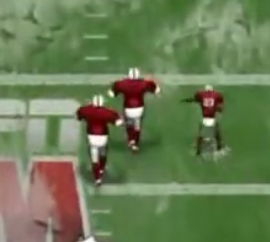 This time you play as the receiver and are tasked with the chore of catching the football thrown by your quarterback and carry it down the field into the end zone for the touchdown win. Be careful, though! You also need to be able to complete the play that your coach has given you in order to carry out this mission successfully! 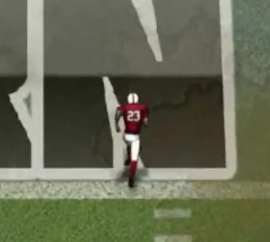 If you get to the end zone location too fast, the defenders may block the pass. If you get there too late, though, you may miss catching the ball, resulting in an incomplete pass and disappointing your teammates. 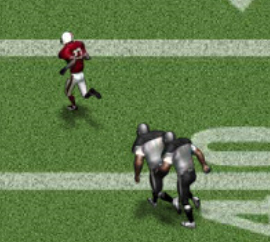 Linebacker - think you can tackle a receiver before he gets to the end zone? Then try out Linebacker and put your money where your mouth is! 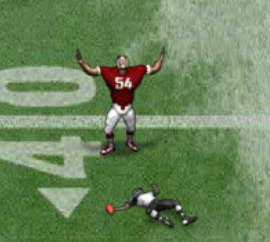 In Linebacker you play as the linebacker on a popular NFL team. Your job is to tackle the receiver before he has a chance to make it into the end zone for the touchdown. Dodge around the blockers, watch out for the other obstacles on the field, and take home the win for your team in Linebacker now! 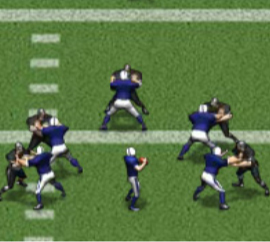 Linebacker 2 is similar to the first version in this series. 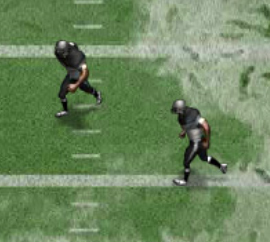 You play as a linebacker football star, out to prevent the running back from making his winning touchdown - hoping to throw the game into overtime. In this version, you are faced with 15 different stages, each containing a wide variety of levels you need to complete in order to unlock additional stages as well as some very useful special moves. The special moves include the Bull Rush, the Throw Down, and the Shuck, all of which become very helpful at the higher levels of the game! Think you can handle it?